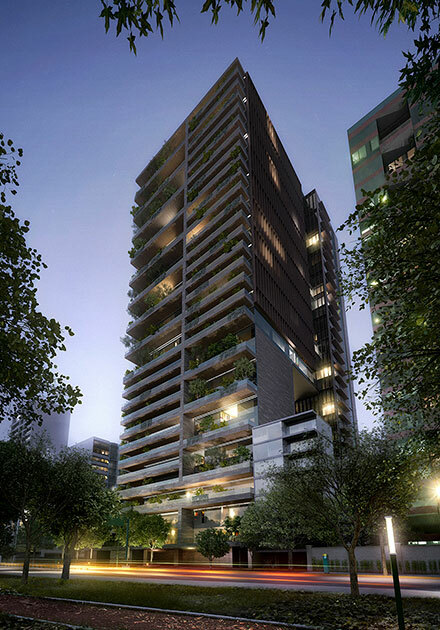 Rubén Darío 225 is a residential development on one of the most sought-after avenues on the edge of the Polanco neighborhood. 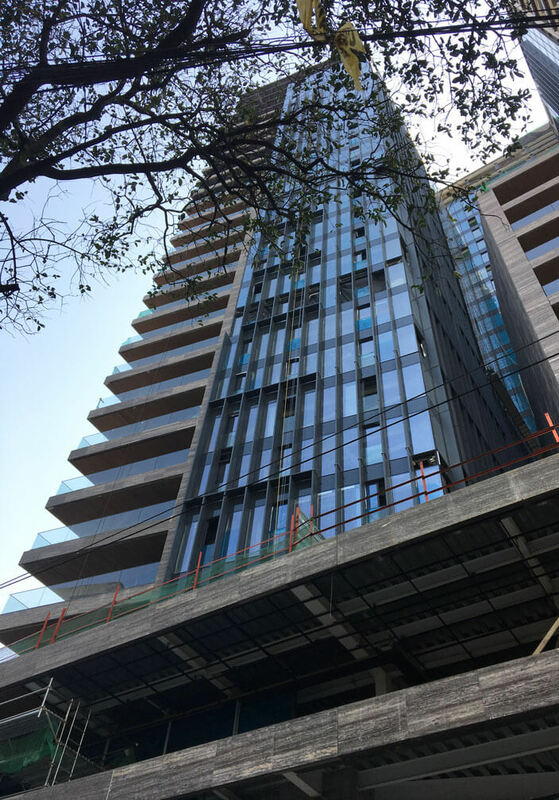 With its peerless location, occupying almost an entire city block, and with superb views over the great Chapultepec Park in Mexico City, this building is set to become a new reference point for the city. The 10,800 sqm site is located on a corner between three streets: Rubén Darío, Lord Byron, and Tres Picos. The design follows a number of conditions imposed by the location, including building codes, height limits and land use regulations. 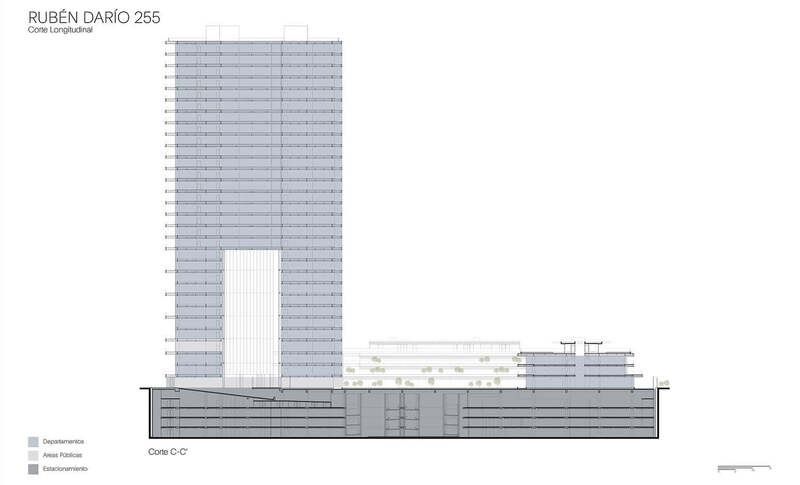 The development was designed in three volumes: two 30-storey towers, and a 3-floor volume covering almost the entire surface of the site. 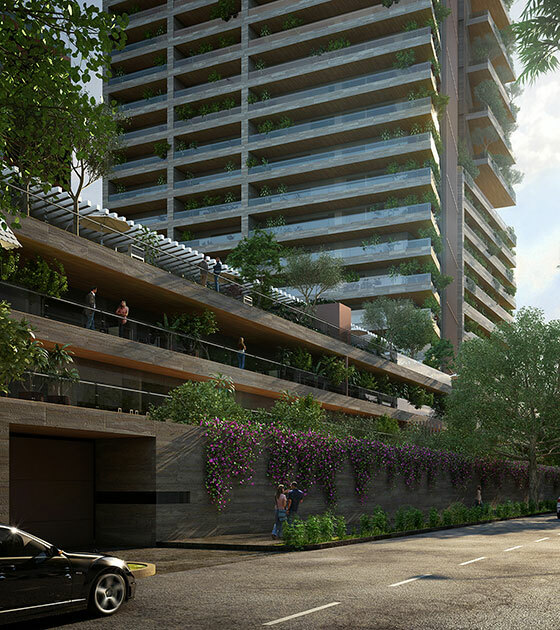 The principal architectural concept is defined by the relation with Chapultepec Park and seeks to integrate the atmosphere of the park and forest into the long terraces and private gardens on the three main façades. This concept grants an effect of unity and continuity with the context, together with an extreme sense of harmony. 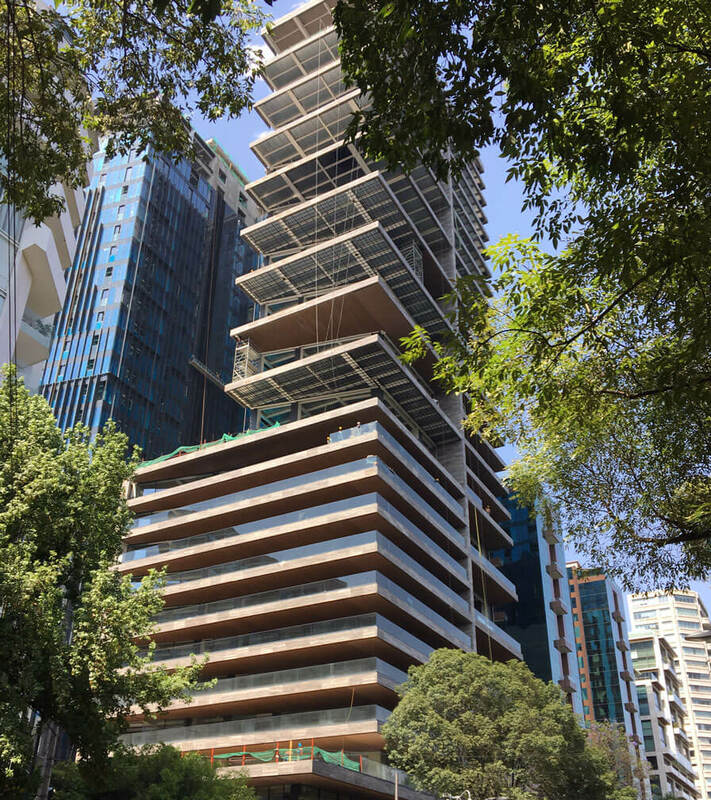 The first tower, with views towards the Polanco neighborhood, is called “Polanco Tower” and maintains a regular rhythm from its base at level 3 to its top. By contrast, the tower facing onto Rubén Darío street and views over the park, called “Rubén Darío tower,” follows one line from its base at level 3 up to level 12, where the rhythm of the floors is inverted up to level 30, which breaks with the volumetry, granting it greater lightness at the same time as generating a virtual space that frames the entrance plaza. 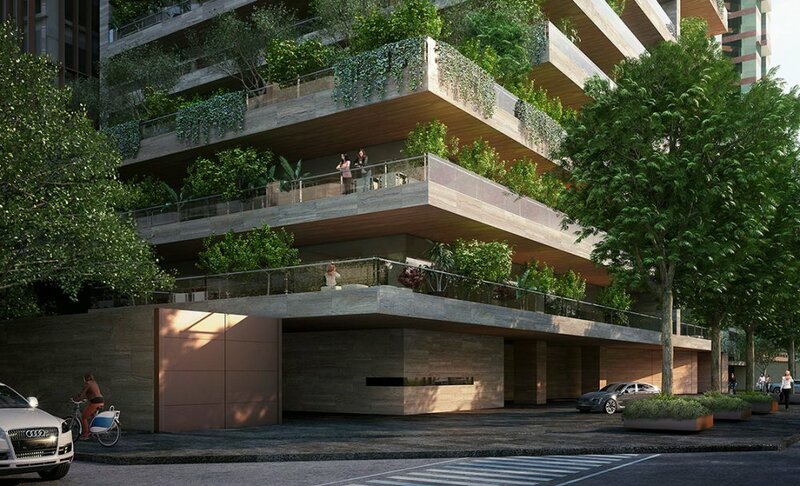 The rhythm of the floors is directly related to the design and interior distribution of the apartments and allows double-height areas, including the possibility of installing large trees on the terraces, further emphasizing the architectural concept of integration into the surroundings. 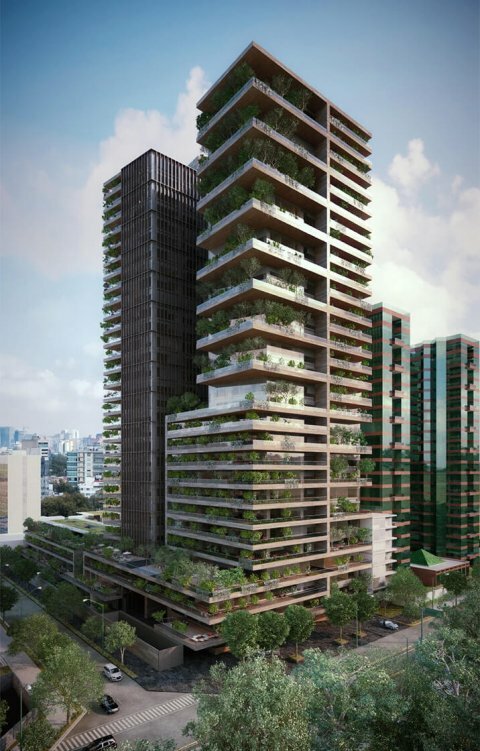 The development includes 122 apartments, of which 20 are located on the first three floors and the rest distributed between the two towers. The floor area of the apartments ranges from 300sqm to 500sqm plus terraces or private gardens. For the Rubén Darío tower the lobby and waiting area are found on the ground floor. The amenities and public areas are distributed over two different zones. The first of these is located on the ground floor of the Polanco Tower and includes an events room, gym, play area, pool, young people’s room and hairdresser. All these spaces enjoy views onto a large interior garden. The second public zone is located on the third floor, with direct views towards Chapultepec Castle at tree canopy height, and contains adults’ rooms, a ladies’ games room, a lounge area and a smaller events room. The terrace on this level is very broad and provides the plinth for the two towers to rise to their full permitted height of 30 stories. The general motor lobby is located on the ground floor. The entrances to the parking lot are via ramps in the four basement levels, providing 1,060 parking spaces. The three materials used for the façade were carefully chosen to achieve a warm and timeless appearance. Exterior wood was used for the terraces on both floor and ceiling surfaces, a gray stone cladding for the consoles dividing each apartment, and finally, the aluminum window frames electro-painted in a similar tone to the stone. The project’s principal axis is subtly integrated into the context, set back from the site boundaries to generate an entrance plaza for the complex that forms a broad urban space distributing both the vehicular and pedestrian access points.